Tryathletics has been a destination for runners, bikers and swimmers in Columbia since we first opened in 1986. Our owner, Steve Stonecipher-Fisher, has been a runner for more than 40 years, and it was his passion for and experience in the sport that led him to open the store. Tryathletics is dedicating to providing the most knowledgeable, personalized service to each and every athlete who comes through our doors. It’s our commitment to service that sets us apart as the most experienced and trustworthy team in Columbia. Our team at Tryathletics knows, loves and uses everything we sell, and we believe our customers should be having as much fun as us. We support healthy, active lifestyles facilitated by the highest quality of gear suiting the unique needs of individuals, and we only carry brands we personally trust. Steve opened Tryathletics in 1986. He was a competitive runner for over 40 years, and it was his love of running that led him to open the shop. He wanted to ensure everyone could try athletics―hence the name Tryathletics. From 1975 to 1979, Steve ran for the University of Missouri and still loves running to this day. He is involved in many local events and serves as race director for the Show Me Games Triathlon and St. Patrick’s Day 5K, among others. Steve believes it’s important to find something you enjoy doing, and he supports race and events that are competitive, but encourage participation in a healthy lifestyle. He is married to his wife, Kim, and they have a son, Ryan. hails from the “Ice Cream Capital of the World,” LeMars, IA. He has over a decade of shoe fitting experience and bike knowledge, and although he won’t brag about it, his triathlon and running resume is almost as long as his facial hair. With four Ironmans, seven marathons and a USATF Long Course National Championship to his credit, Nate knows what it takes to succeed in the sport. 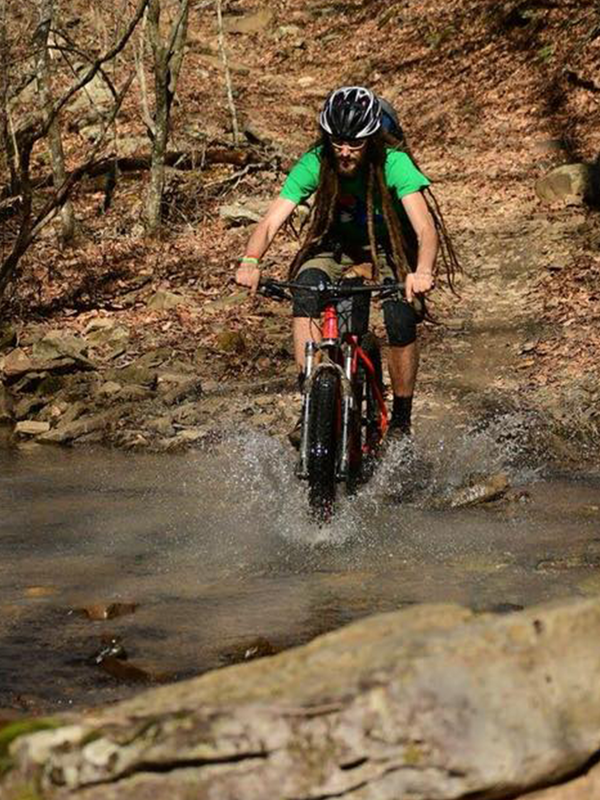 More of a trail guy these days, you can often find him riding his Kona Wozo or running the trails at Rock Bridge State Park. The RV occasionally parked behind our store belongs to Nate, but despite much speculation and many rumors, he does, in fact, have a home besides the RV. He also has a fascination with the band Paramore. On November 13, 1985, Lelande was born in Columbia. He was raised in Macon, MO, where he became a multi-sport athlete. Since he was young, Lelande has loved to move as fast as he can for as long as he can, and he expects that will never change. He especially loves running and biking on anything but pavement. His motto is “get out there and go”ㅡhe doesn’t care if it’s a race or a solo adventure, he just wants to go. Lelande holds down the Sunday afternoon shift at the shop, which he knows to be the best shift. In one of his few serious moments, he’ll admit that his proudest accomplishments are his daughters, his relationship with his wife, and his awesome part-time job at Tryathletics. Mike is the newest employee at Tryathletics, so you can also call him the New Guy. He can sell you shoes when he’s not busy scrubbing the toilet. He’s very talented at cleaning and waxing cars, so feel free to drop yours off for him. His favorite Pandora station is “Toto Radio,” and he loves the classics because Nate told him to. If you have questions about what band is playing, he’ll gladly let you know. There’s not much else to say about Mike because he’s too shy to talk to any of the old guys (see above), but this bio will accurately reflect information about him once he finishes writing his own version. Will Crocker from Belvidere IL. 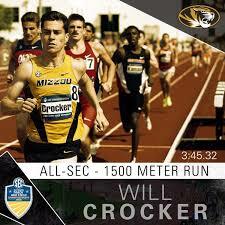 Will was an All-SEC runner for the University of Missouri where he now helps with the program as a volunteer assistant coach. After his college career was over he moved to Washington D.C. where he ran professionally before moving back to Columbia. He is in his first year working with Tryathletics and looks to pursue a career in college track and field coaching down the road. Josh was brought up near the banks of the mighty Mississippi, in Imperial, Missouri. He moved to Columbia in 2005 to attend Mizzou. Shortly after arriving, Josh got hooked on riding bikes and began wrenching on them as well. After graduating, he began working on bikes professionally and has been keeping wheels rolling ever since. Although you have probably seen him riding his old mountain bike around town, his favorite cycling pursuits happen off-pavement in the form of mountain biking and bike-camping. Josh will show up at a race here or there, although it is mostly just to tell jokes. When not wrenching or riding, you may find Josh relaxing on his front porch watching the birds, foraging wild edibles, or chasing live music around the country. Aspen is the Great Dane who hangs out at Tryathletics, and her human is Nate. Her favorite places besides the shop are the parks in Columbia and around mid-Missouri. She loves to hike and pick blackberries with Nate, but she’ll never reveal their secret spot. Aspen is very friendly and will greet you when you come in the shop door. She’s great with kids and loves to play with visitors, but rumor has it she’s a very convincing saleswoman, too. 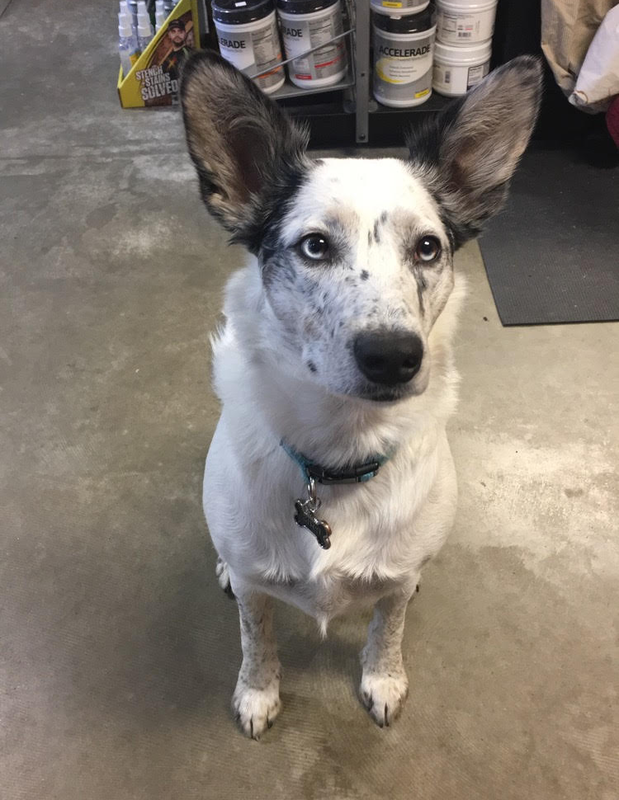 Zira is an Australian Shepherd mixed with a Blue Heeler. She is new to Tryathletics and has really enjoyed her first few months here. She is still a young pup and is not even 2 years old yet. Zira loves to go for runs on the MKT and also enjoys hiking through Rock Bridge State Park. She really enjoys when customers bring her some treats to snack on when shes at work. Not all running shoes, bikes or other gear are created equal. That’s why we are picky about the products we sell, and we take an individually tailored, hands-on approach with each customer, getting to know their lifestyles, goals and physical needs. When you visit our store, you’ll know that we are investing in you as our customer and our friend, taking the time to find quality products that are perfect for you. In addition to helping you find the right gear, we’re also committed to helping you maintain it. We’re proud to offer an on-site bike repair shop staffed by some of the most talented mechanics in town, and we strive to provide fast and safe service. Whether you’re coming in for a standard tune-up or a major repair, no problem is too big or too small and you can trust you’ll get the highest quality work at the fairest price.